What's Your Cutie Mark? - page 3 - mlp (my little pony) - Furtopia | Family Friendly Furry Forum and IRC Chat! Neigh, still not seeing it. But getting there. I forget, you must not be from the south. It's ok, we can't all be perfect. 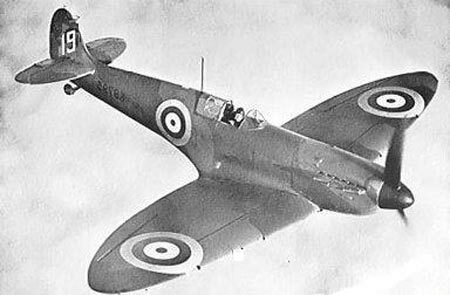 Spitfire: Kind hearted underneith a rowdy/rambunctious appearance. Prone to being fiesty, and can be a bit of a hot head at times. Is overall passionate about their feelings. Usually a reference for adolesences and typically females, but can go both genders and adults. I love the cutie mark on her! Wow...so after working on that design and the cutie mark, what do I find out? In part 2 of Return of Harmony, there's a quick scene with a pink pony floating by doing the classic lip-finger burble that made me laugh hard. Wondering who that pony was, I did some investigating...only to find out that her fanon name is Screw Ball. And what cutie mark does she have on her flank? A screw. And a ball. Don't change Sheeta, we at least know you were being original. Agreed. And you could spin this to your favor. You could say you're so awesome, that you single handedly (or would that be hoovedly?) came up with a character that matched on par with both what the writing team and the brony community at large created. Base idea was to do something blue and orange because I've always loved the combination. But we decided to tone down the orange so it was more earthy and less inyourfacebrightorange! Anyhow, the cutie mark is a bit of a cop-out. It doesn't really reveal a talent or anything like that. It's just my target mark, which pretty much represents everything that is me. We were discussing what to pick, and decided this was probably the best option. Partially because it's just a symbol I've used for myself for several years now. And partially because nothing else I could come up with would really look alright with the color scheme used. 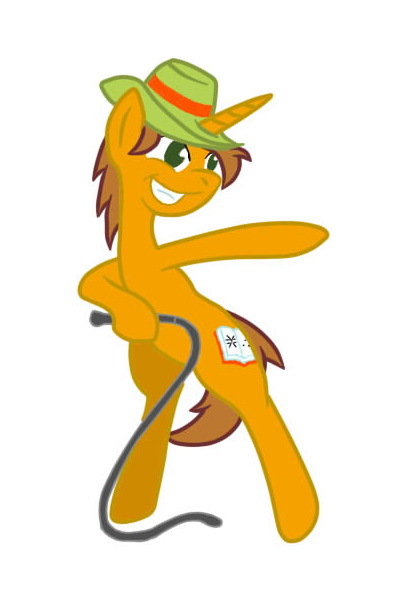 Rather than using the uploader in the pony generator, I saved it and threw it into paint.NET so I could put the target on myself. I should probably get around to making a Ponysona one of these days .. Mine would be the sunshine in front of a storm cloud. Cause I'm already a horse, named Jovi Sparks, and I wouldn't change my name. You can see my full name came from Jovial Sparkplug. Jovial- Meaning happy, and Sparkplug- Meaning that I like to shake things up and cause trouble. Member of Ungulates United local #416 Haaaaay! The generous Sewlde over on FA just did a ponysona for me. Yay! I couldn't bring myself to do a pony generator version and this is so much better. Well my cutie mark would have to be something to do with water and electricity, because my Brony name is Aqua Bolt. Would anypony be willing to draw me a cutie mark with something related to that? I would defiantly love you if you did!! My ponysona is named Silver Quill (at least for the present unless it's already taken), a white Pegasus pony with a silver and white streaked mane and green eyes. Her cutie mark is an ink bottle and quill pen. She is an adventurer, an eccentric writer, and lover of old fashioned mysteries. She is a wanderer and writes of her travels. Her personality is something like a cross of Rainbow Dash's determination and Twilight Sparkle's nerdiness. Oh, and she's a big fan of Edgar Allan Pony. How can anyone sum up their talents, interests, personality - in other words, their life - in one little picture? This is really, really hard. Actually the cutie mark is only representative of the pony's special talent. Not their personality, other interests, etc. so it's not that hard to decide if you already have a talent. My ponysonna, Beaker Buck, has a cutie mark of an H2O molecule, with the hydrogen being a green and the two oxygens being red. Edit: Due to Beaker's personality, his cutie mark has been changed from a H2O molecule to a mushroom cloud. My cutie mark is a thought bubble, indicating an affiliation for thought processes. In other words, my special talent is an active imagination and my special interest is dreaming. My pony name is Oneiro Mindscape. My ponysona, ChocolateStarfire, has a five pointed star with red and orange flames streaking behind it as her cutie mark. It's a coffee cup with a cherry in it. My Ponysona is JavaCherry, she was created in 2005 when I started collecting 1980s ponies regularly. She's only been draw in the G1 style, someday I'll need to see her in FiM style. My cutie mark is a glowing figure eight that looks like the northern lights colored green and blue, with some stars around it.